Transfer of knowledge, software & GIG KARASEK one unit! 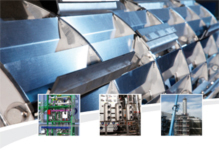 Dr. Daniel Bethge, Head of Research & Development Department at GIG Karasek will give a lecture on September 16th at CHEMCAD User Meeting in Berlin. His Theme: Heat transfer coefficient of thin film evaporator. Using physical characteristics stored in the database the k-value can be determined continuously. 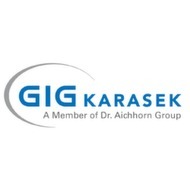 GIG Karasek is proud to work with the most modern means and methods. Specialized software solutions (e.g . : CHEMCAD) are used as basics for the development and conceptual design of our equipment and installation, and also offer the opportunity to provide our customers with simulations.